Legian Beach is the stretch of gold and silver sand that continues north of the coast of famous Kuta Beach, and ends just where Seminyak Beach starts. Set between these two of Bali’s most famous beaches, Legian has a mix of the surfing Mecca scenes of Kuta and the partying crowd of Seminyak, and is an ideal recreational place where you can shop, swim and go for leisurely walks along boutique and restaurant-lined streets. Waterbom Bali Waterbom Bali is easily Bali and Indonesia’s best water park. Exciting water slides slice through 3.8 hectares of landscaped tropical parks providing hours of fun and entertainment for the young and young at heart! The recreational site is within an approximate 20-minute taxi ride from the main Legian hub. Just across the road from the Discovery Shopping Mall on Kuta’s Jalan Kartika Plaza. 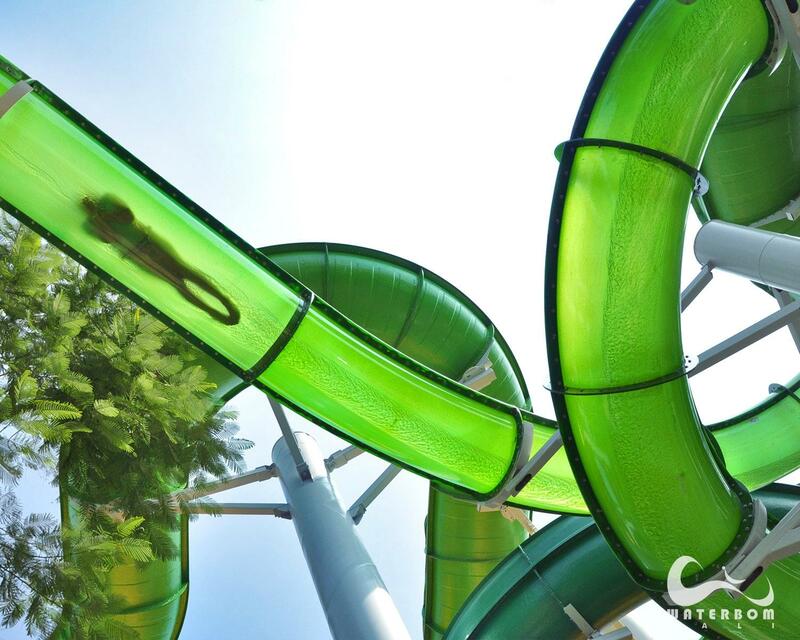 Waterbom Bali provides plenty of thrills, from the Climax ‘super-loop’ body slide, Superbowl, Boomerang, Smash down, Race Track, and other adrenaline-pumping slides. The leafy grounds provide ample shade, and various canteens and open-air restaurants offer international and Indonesian selections of snacks and wholesome meals. 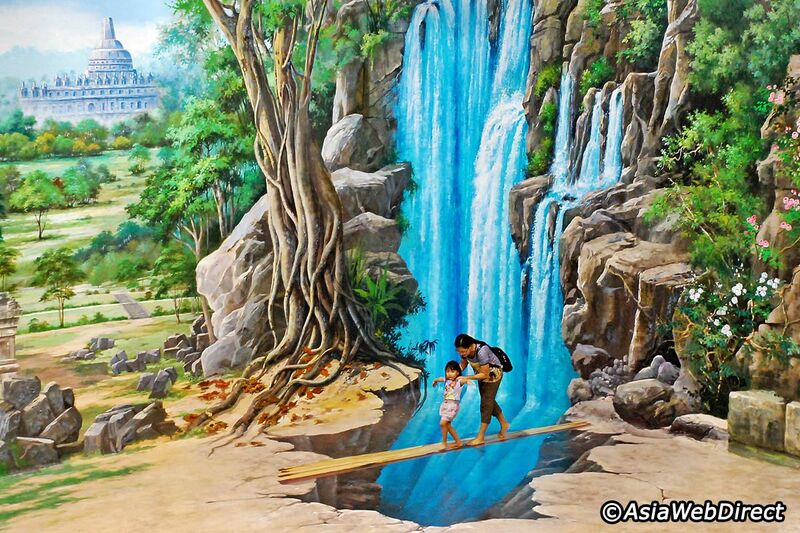 Dream Museum Zone (DMZ) Bali is a fun and interactive art gallery featuring a vast collection of three-dimensional, life-size murals for visitors to pose and play with. The gallery features a rich array of masterfully painted artworks that each serves as interactive backdrops for illusory three-dimensional photography. There is an impressive total of 120 unique artworks in 14 different categories spread over three levels, which provide a full-day of discovery and creativity. 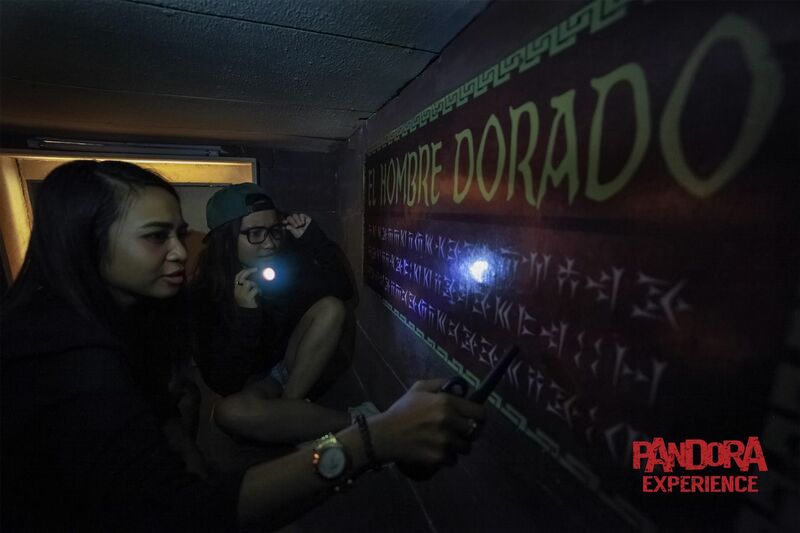 The museum is located on Jalan Nakula, right off the junction of Jalan Dewi Sri and Kuta’s Sunset Road, and just down the street from the TS Suites in Seminyak. 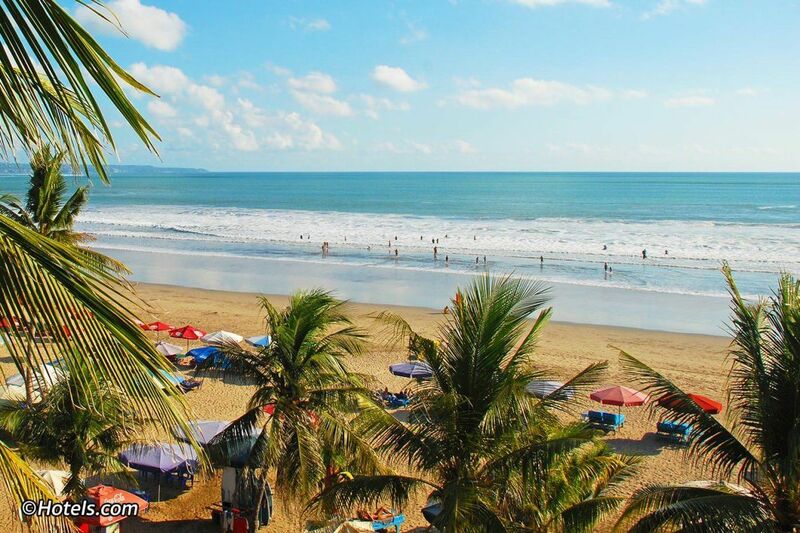 Legian Beach also comprises a central coastline known as Double Six Beach, which is also referred to casually as Blue Ocean Beach, located north of the Jayakarta Hotel and borders the Seminyak Beach area. The beach itself has a more relaxed scene compared to the neighboring beaches, with gold and silver sand that starts from Jalan Melasti to Jalan Werkudara. You can go for a swim, take a surfing lesson, simply soak up some sun with a good read, or play or watch afternoon beach volleyball and soccer matches in time for the dramatic sunsets. One of the most popular haunts for partygoers, long since the Double Six Club and the AJ Hackett Bungy site evolved into a five-star resort complex, occasional rave beach parties with famous DJs and live bands continue to entertain at the many existing venues such as the Cocoon Beach Club and Bahiana. Legian comprises several shopping streets lined with local boutiques and notable art markets. Among them is Jalan Mertanadi and Jalan Melasti, the former featuring a large art market which features almost everything from knock-off brand sunglasses to the popular Bintang beer shirts and singlets. 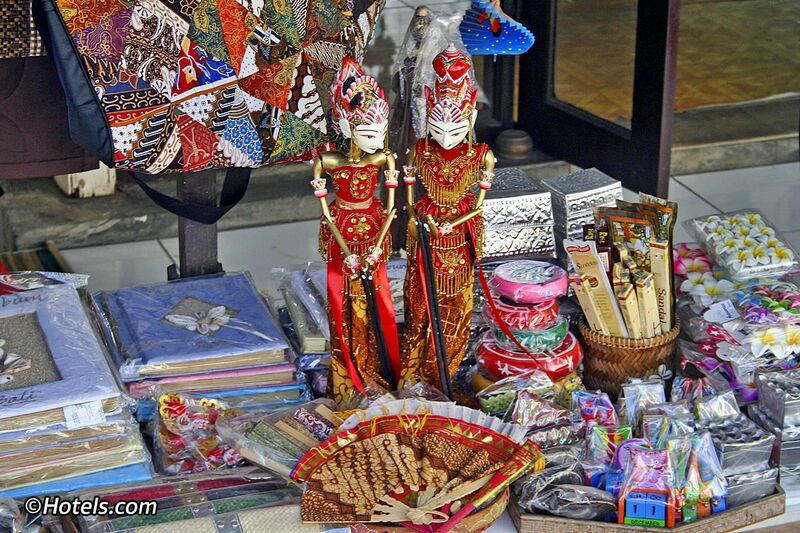 There are also unique handicraft items and knick-knacks that serve as great souvenirs for the folks back home, and it’s convenient as you don’t need to travel far to the other central Bali art markets that have become shopping destinations. If you want to experience the real deal, the Legian art markets are a shopping trip you must try, but always remember to be calm when haggling; take a careful look at things you want to buy, and of course, start bargaining a third of the offered price, then up.